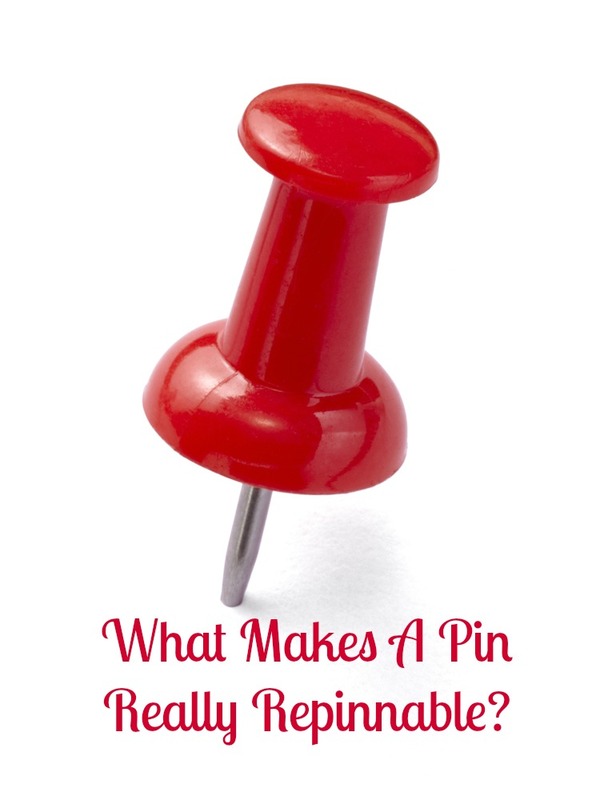 Home › Pinterest › What Makes A Repinnable Pin? What Makes A Repinnable Pin? 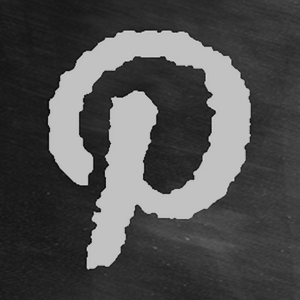 For any business using Pinterest as one of their social media platforms, it is essential to establish what makes a repinnable pin in your own category or niche. 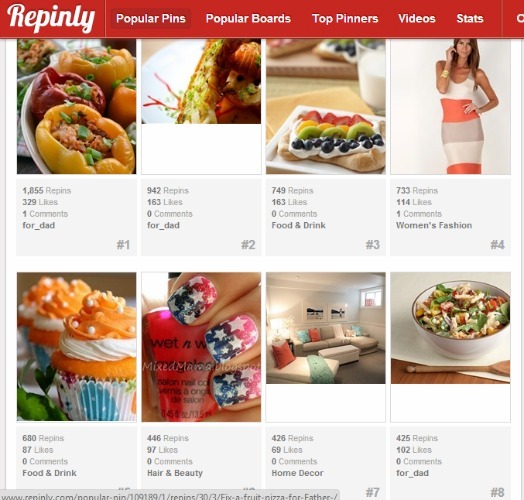 For Pinterest to work for your business, you need to be pinning images from your own website that are repinned by many people, the more people the better. If those repinners have high numbers of followers, all the better as there’s a higher chance of your pin going viral on Pinterest. With that in mind, I decided to analyse some of the most popular pins on Repinly today to see if I came up with similar conclusions. As you can see, for the most part, the finds above ring true. The dominant colours are reds and oranges. Food is represented in five of the top eight pins and there is a human being in only one pin. 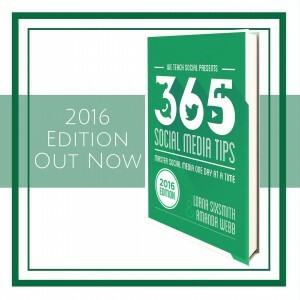 Most of the images are close-ups of a product and the quality of the image is good. Only one image is of a ‘long shot’ which is of the living room interior. As many photographers say, the best zoom is your feet – get in close to that product before you take the photograph! The top 8 food pins on Pinterest, the dominant colour is peach/orange and most images are of close ups with plain backgrounds. In my opinion some of the dishes don’t even look that attractive but it must be the colour/plain background that gets them into the top repinned pins. 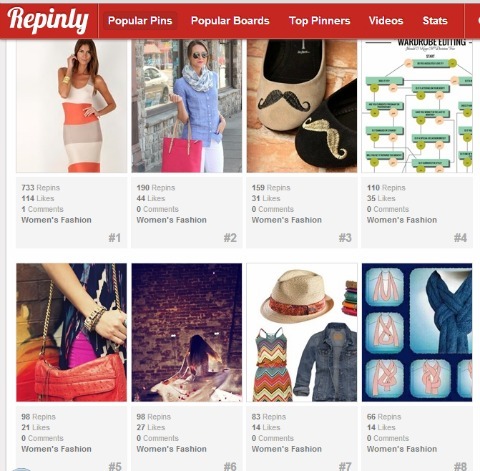 Women’s fashion is another popular category on Pinterest. Again pinks/reds/oranges feature, closeups and plain backgrounds dominate. ‘How To’ advice/tutorial pins are going to do well in this category too as evidenced by the mood board suggesting items for a complete outfit (note one item is dominantly orange) and the diagrams explaining how to tie a scarf. Women are always looking for tips on wearing the latest fashion well so if you can provide that, your pins should do well. 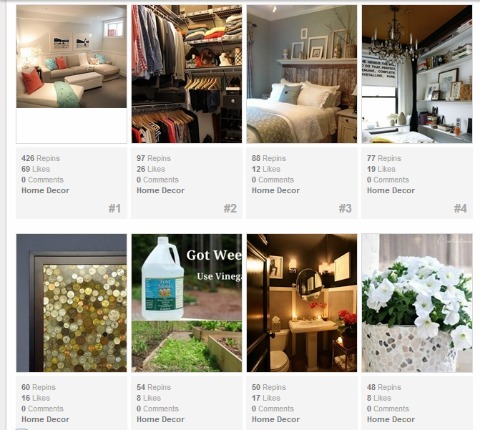 What Makes A Pin Popular In The Home Decor Category? I was somewhat surprised when I initially looked at the most popular ‘Home Decor’ pins but when I thought about it, people do like to see whole rooms rather than a single item to get ideas for decorating their own homes. I was surprised by the darkness of some of the images and am sure I’ve seen much nicer pins in this category on my gallery page. I can appreciate why the walk in wardrobe is there as tidy storage is always a popular subject. The Animals category is an interesting one. I’d have presumed that cats would also have featured in the most popular animal pins but there’s dogs in 7 out of the top 8 pins. Therefore, I think the message must be if you have a business that target animal owners at all, ensure you take some good photos of dogs to pin from your website! 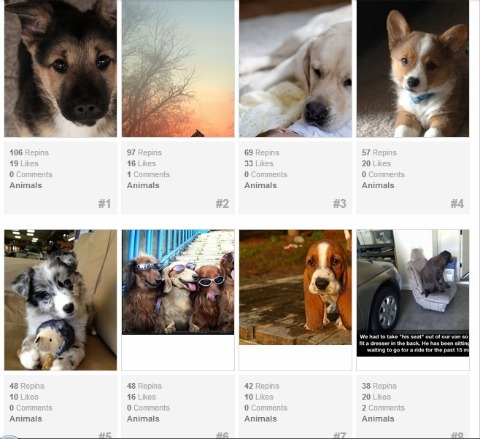 3 of the top 4 pins feature a close up of a cute dog – nothing funny or humourous, not quirky or silly, just cute. 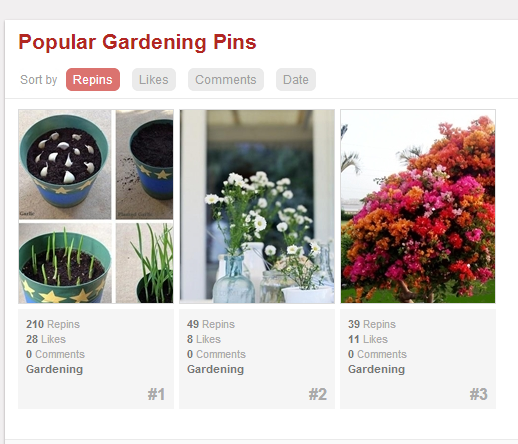 There are only three most popular pins in the Gardening category. 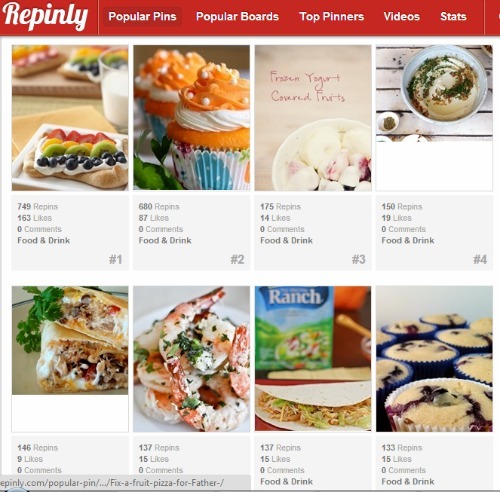 I believe that a pin has to achieve a certain number of repins to be picked up by Repinly, however this is a popular category so I was surprised. I searched for ‘Gardens’ on Pinterest and found that the most repinned image being shown on my gallery page only had 21 repins so Repinly must be fairly accurate. As you can see, the most popular pins are a type of tutorial, a good quality image representing simplicity and a mass of orange/red blooms. The background in all of them is quite plain. 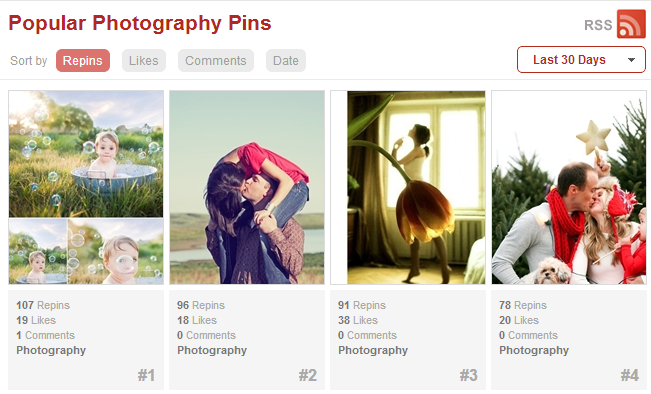 I’ll be honest – I thought the most popular photography pins would be of babies and of beautiful scenes. However, they all feature people – beautiful people, elegant people, people in love and yes, the cute baby is there. The backgrounds are inconspicuous and in two of the four photos, the colour orange is dominant. Interesting isn’t it? How Should You Improve Your Pins? Spend some time over at Repinly analysing the top pins in the category that is relevant to your business and work out what is it about those pins that makes them such repinnable pins. Then try to emulate it and see how you get on. Remember the points above, particularly the colours oranges/reds, the close ups, the plain background and the fact that they must be portrait. 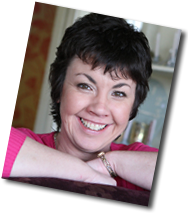 If you are looking for help or training using Pinterest for your business, we are running Pinterest courses online on our sister website We Teach Social with details for the Advanced Course going up this weekend. Thanks for the thorough list! I found that portrait photos being more pinnable particularly interesting – but when I think about it, it’s not surprising due to the interface.